I finally cut into my cherished Tula Pink Poseidon stash to make this bag. This is another fun pattern by Michelle (previously Keyka Lou) I bought last weekend. It goes together very quickly once you have all the pieces cut out. I really like using plain cotton instead of fusible interfacing, it allows the fabric to remain soft but still gives it enough structure to stand on its own. After making the bag, DH and I spent three + hours planting four new cedar trees in the front yard and spreading top soil on the lawn. It’s been awhile since I did that much yard work and my entire body is aching, even my finger nails! This is the last really productive weekend for awhile, next weekend my son is coming to visit then we’re off to Germany the following Friday. I’ll be blogging on the road during our vacation and will try to get as much sewing related info as I can. I hope you all had a wonderful and productive weekend too! This entry was posted in Bremen, Finished Objects, Germany, Keyka Lou and tagged Bag, purse, Tula Pink by Tabatha. Bookmark the permalink. love it !!! fabric and the bag are both awesome ! Yard work – yuck ! have fun on your trip ! Thanks Mickey, I thought the fabrics were an interesting combination too. I’m still sore from yard work yesterday! Another gorgeous bag! You are on a roll! 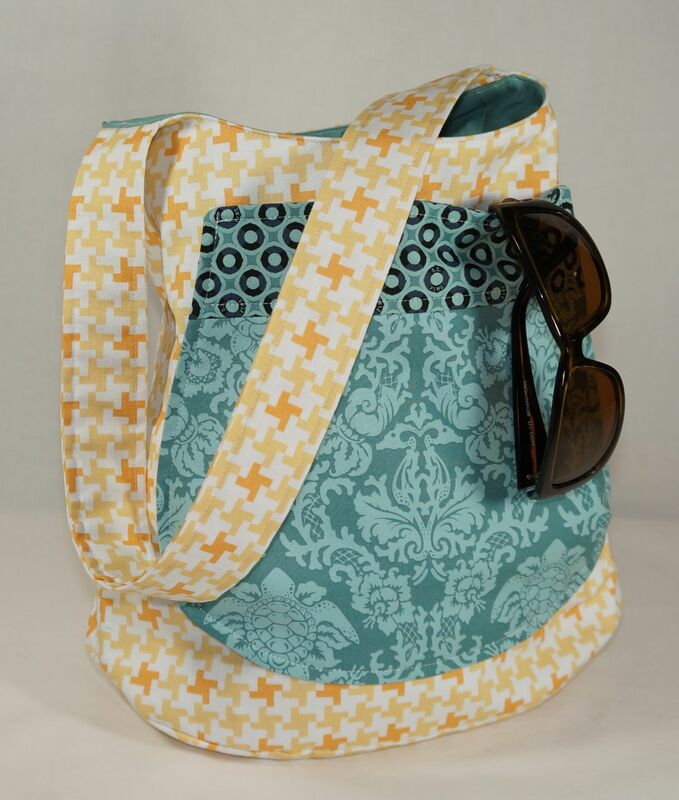 Thank M-R, what is it about quilting and totes that go so well together?! Love what you’ve been up to, AMAZING!! 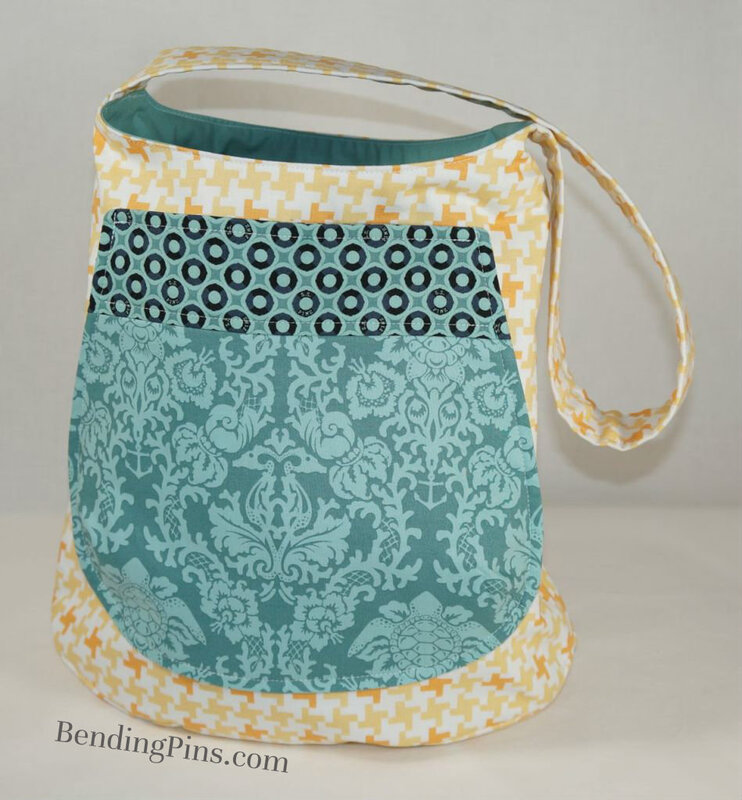 You’ve made some great bags lately! I really love the fabrics in this one.